Highball cocktails are perfect for summer. Tropical islands like Bermuda make you think of lazy sunny days on the beach. Put the two together, and you're well on your way to a blissful summer escape in a glass (even if you're sipping it from the balcony of an urban high-rise like I do). Highballs are sweet and refreshing and typically lower in alcohol, allowing you to drink them through the day without getting completely smashed (unless you drink them fast, which is easy when they are made well). That makes them perfect for a hot day. The Dark 'n' Stormy is a classic "highball," made with few ingredients: dark rum (you can even use black rum), ginger beer and lime juice. It hails from Bermuda, specifically the Gosling Brothers (no, Ryan is not one of them), makers of Gosling Ginger Beer and Black Seal Rum. Making it with those specific ingredients is classic, but you can certainly use others and have a fine drink. Also, you don't have to use a highball glass--a lowball (or "rocks" glass) or Collins glass (tall and skinny) will work too. 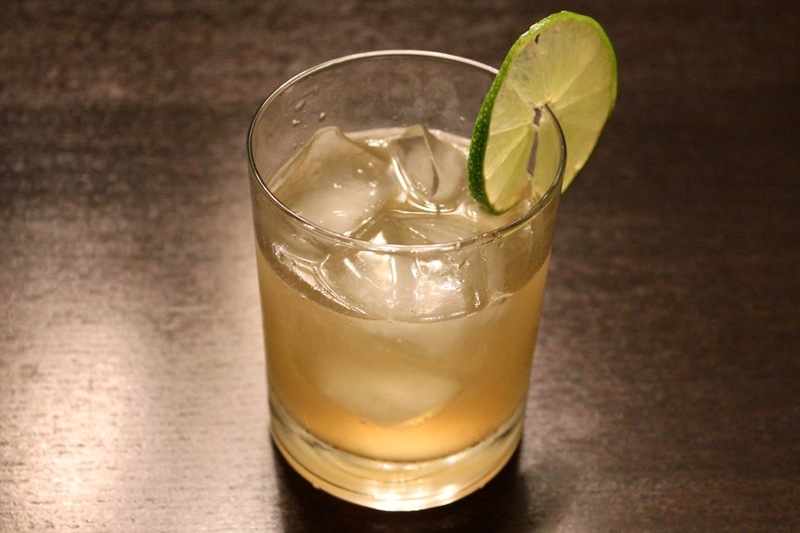 Combine rum and lime juice in a glass with ice. Add ginger beer and garnish with lime wheel.